If modern, stunning, and unique gift baskets are what you’re after, Dean & Deluca are the perfect way to go. 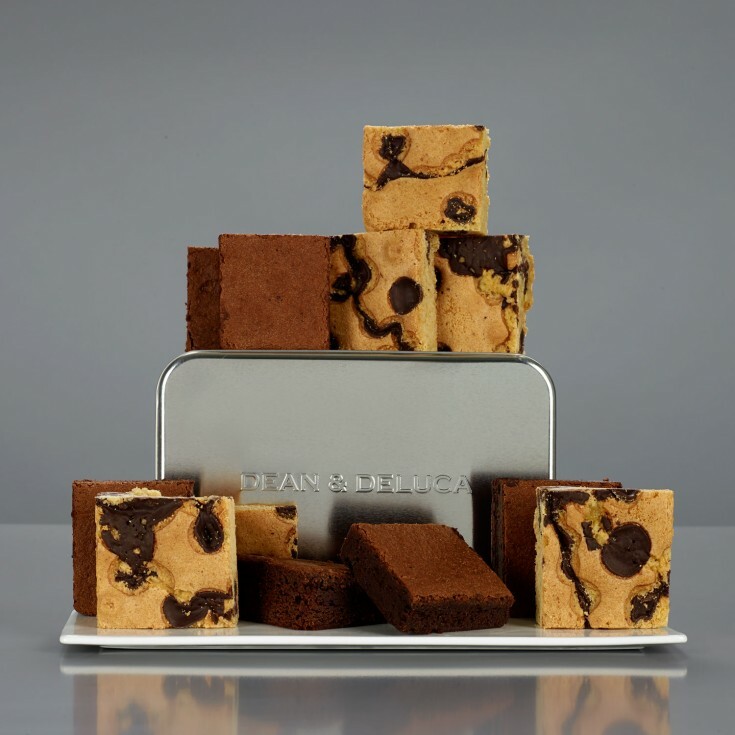 Dean & Deluca started over 35 years ago and since their start, they have been dedicated to highlighting the world’s best epicurean treats for fine dining, snacking and cooking. They have an entire team of international food experts dedicated to hand-picking each item that goes into their artistic gift basket selections. The result? Perfectly curated choices that you can feel confident about gifting to friends, family and even coworkers. A company best known for their dedication to excellence and food expeditions. It is hard to classify the varieties of gift baskets from Dean & Deluca simply because they are not your garden-variety baskets. They don’t do the standard basket packed full of the same old treats; instead, they use fun themes, exotic ingredients and try to mix it up so you get something unique. Just some of the varieties you can find include their snacking packs with mini flatbread crackers, popcorn and even sweet potato chips. They also have a cheese accompaniments basket devoted to items you would use for a cheese platter (minus the cheese) and their sweet breakfast basket is full of gourmet syrups, breakfast mixes and more. Their baskets have some non-edible items, such as aprons or cooking utensils, but they don’t have baskets strictly devoted to the non-edible items – but that is because they focus on gourmet foods from around the world instead. Dean & Deluca is one of the few companies that offer a true design-it-yourself feature. Customers can create a custom gift by selecting the type and size of gift they want (then adding products to their basket) or they can start with a theme that includes specially curated items to make the perfect basket. For premade baskets, you cannot swap out items or add-on to the basket itself, but you can make purchases in addition to them. There are quite a few ways to find themed baskets and sentiments here on Dean & Deluca. Instead of having an array of baskets listed by holiday, they offer things by season, such as Fall or Halloween and Christmas. They even have Tailgating themes for fall. Instead of the traditional sentiments (i.e. anniversary, birthday, etc. ), they offer different, fun and even funky themes like Sweet & Savory, the American Picnic, Taste of Italy, Easy Entertainment, Afternoon Snack, Film Fest, Movie Night, Gifts of Italy, etc. They do have Kosher, vegan-free, and even gluten-free options, but you will have to create your own basket to use these items since they do not have a single premade basket that features all of these types of foods. Dean & Deluca has a menu dedicated to their corporate gift offerings. These typically include their themed baskets and can be rather pricey – but ideal for those that want to impress a customer or even thank an employee for their dedication. When it comes to discounts, they do not offer any discounts for corporate gifts at this time, but they do have a corporate gift giving department. Gifts that are labeled as “corporate gifts” must be ordered via chat, email or phone and cannot be ordered online. This could be inconvenient for businesses that want to order on the fly or just don’t feel like going through the hassle of sending emails or calling just to place an order. Gifts purchased from Dean & Deluca do cost considerably more than your average gift basket vendor – but as with anything, you get what you pay for. The products and food items you find at Dean & Deluca are exceptional and worth the price. On average, most of their good gift baskets start over $75 – with their more impressive ones hitting the $100 to $175 mark. But, the products are not small or trial-sized and most of their baskets are really wooden crates and other fun containers. For example, their Italian Pantry basket is $115 but includes two kinds of pasta, a jar of sauce, a jar of basil pesto, extra virgin olive oil, and capers to create the perfect Italian feast. One of our favorite features from Dean & Deluca is their flat-rate $12 shipping. Most vendors charge by the value of the basket, while they do not. That being said, you will not always be able to enjoy flat-rate shipping. Each product will state the shipping method required (some need overnight). So, the shipping rates can go from $12 to as much as $50 depending on the product. They can only ship to certain areas within Hawaii and Alaska and these orders must be placed with a representative to determine shipping. They do not ship to APO/FPO boxes overnight and only ship internationally through their international department. You can, however, specify a future delivery date if it is a gift. One nice feature is that they mention lead times on each product – so you can tell if a specific item is backordered or delayed for any reason. The items are presented online out of their basket/box. They do not show how items are presented inside the box other than what they say in the description. Personalized gift messages are not included nor are gift announcements – unless ordered via the corporate line. To ensure freshness and quality, all of their products are carefully packaged to protect even the most delicate items. They do have a return policy and customers can send their products back for a replacement, gift card or refund. However, open food items may not be returnable (you will have to discuss your individual case with customer service). If a package arrives late and it was due to weather or the shipper, Dean & Deluca will not be able to compensate the buyer. If a basket is not correct or there was an error on Dean & Deluca’s end, you can exchange or receive a refund. Dean & Deluca’s customer service is robust. They offer live chat, email and toll-free calling. Unfortunately, their site critically lacks the information a customer needs regarding return policies, corporate gift giving, etc. While they do have the live chat, it takes a long time for customer support to connect with you and even longer for them to answer questions. A lot of the features on their FAQs sections don’t work either – and take you to error pages. Even their email page for customer service takes you to an error page. So, the only true way to reach a customer service rep or receive answers to your questions is just by calling them. They do have an A+ with the BBB though, which is always a good thing to see from a retailer. Under $50 – There are not a lot of baskets for under $50. 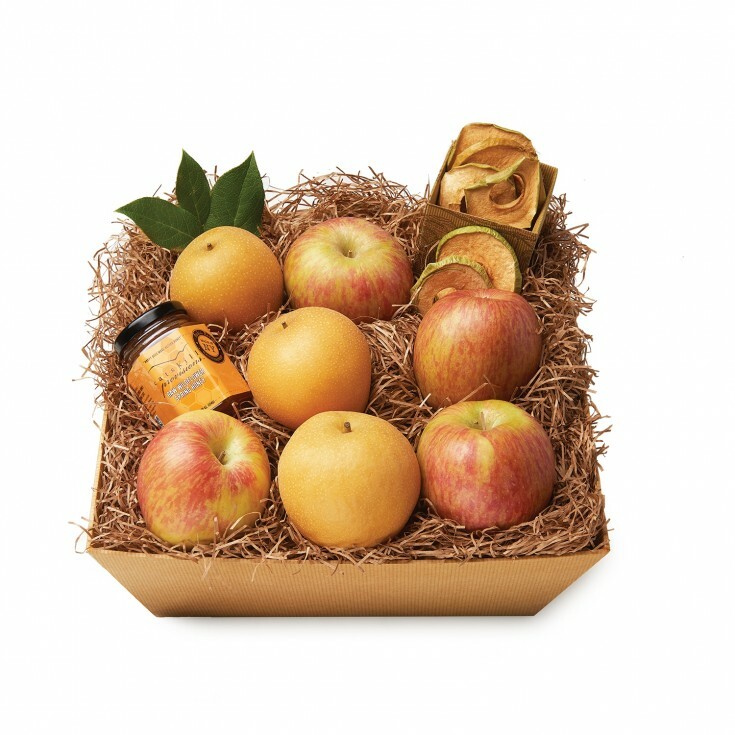 Those that are available have one to three items – such as three fruit spreads for $25 or a mini tote of treats for $35. $50 to $100 – Within this price range a buyer could find things such as dried fruit varieties, brownie assortment packs, a snack pack in a cute tote, etc. $100 to $200 – The majority of Dean & Deluca’s gift baskets fall into this price range and can include brunch baskets (with two varieties of breads, coffees and a few spreads) to their Italian feasts and cooking kits. $200 and up – For the most selection and largest baskets, customers can expect to pay $250 to over $300. With that comes a large selection of snack-themed baskets, weekend eating-themed baskets and a large volume of their holiday gifts. Dean & Deluca does not have as wide of a customer base as other companies. Because of their higher prices, they are definitely better for the customer looking to impress and not the budget-savvy shopper. Also, a lot of their gifts are more for the “foodie” than the average recipient – and even those that like to cook at home due to their cooking packages. 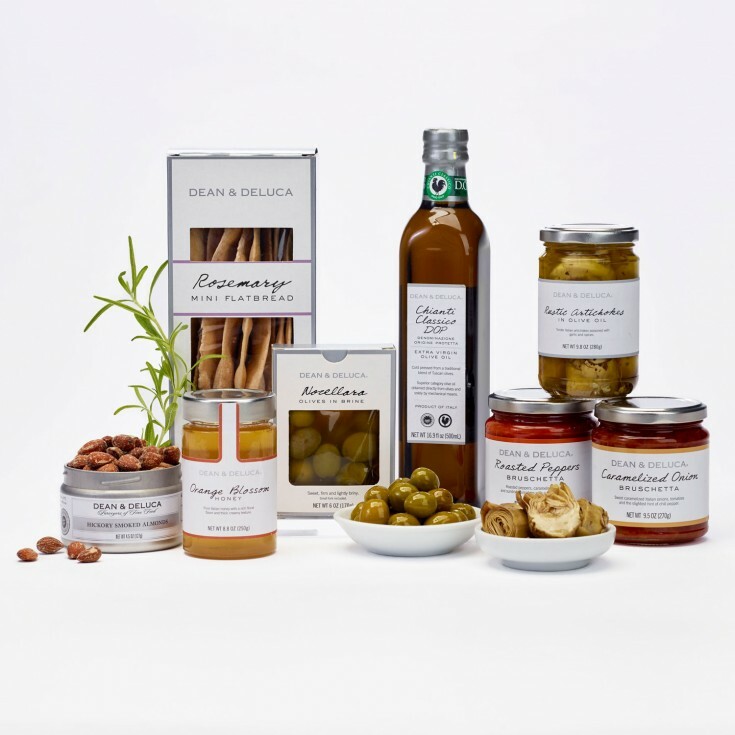 Dean & Deluca is all about expertly curated gift baskets. They aren’t your garden-variety company and they don’t haphazardly select gifts to toss in baskets for mass purchase. Instead, they truly take their time with their selections and create some fun, exciting themes to choose from. We appreciate their deviation from the “norm” and how they use some of the finest ingredients out there to create their baskets and boxes. We like the flat-rate shipping, but since it cannot be used on all packages, this could be a wasted enjoyment. We definitely are not fans of their customer service nor their FAQs section. With so many pages that just take you to 404 errors and being forced to call into customer service, most people may find dealing with Dean & Deluca not worth the price. Considering how much they charge for products, you would expect more reliability from their website at least. We also don’t like that most baskets are forced to upgrade to expensive shipping. What is the point of flat-rate if you never actually use it? Flat rate shipping and gourmet, unique gift baskets. With more than 30 years of experience, Dean & Deluca are now delivering fine gourmet gift baskets for every occasion with fun themes and delightful selections. 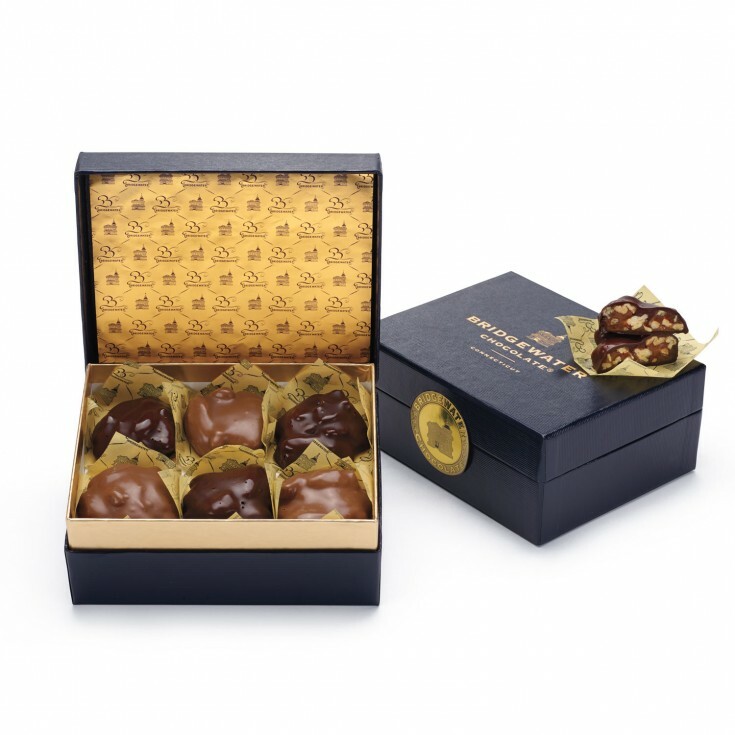 Perfect for personal and corporate gift giving. Under $50 - There are not a lot of baskets for under $50. Those that are available have one to three items - such as three fruit spreads for $25 or a mini tote of treats for $35. $50 to $100 - Within this price range a buyer could find things such as dried fruit varieties, brownie assortment packs, a snack pack in a cute tote, etc. $100 to $200 - The majority of Dean & Deluca’s gift baskets fall into this price range and can include brunch baskets (with two varieties of breads, coffees and a few spreads) to their Italian feasts and cooking kits. $200 and up - For the most selection and largest baskets, customers can expect to pay $250 to over $300. With that comes a large selection of snack-themed baskets, weekend eating-themed baskets and a large volume of their holiday gifts.